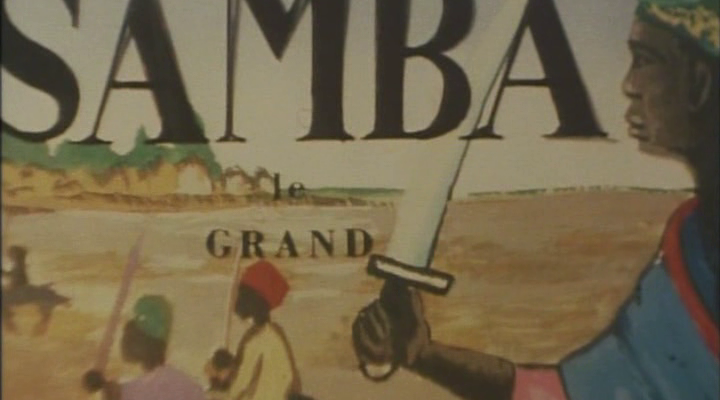 Samba le Grand is an animated puppet show that tells the story of a legendary hero who asks a dazzlingly beautiful princess for her hand in marriage. She imposes several tests from which he emerges victorious, but only death can unite the two lovers in the end. Niang, Sada. Nationalist African Cinema: Legacy and Transformations. Plymouth: Lexington, 2014. 94-8. Print.